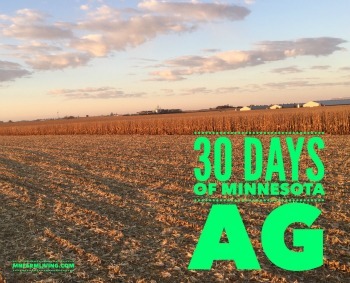 Day 10 of my “30 Days of MN Agriculture” is Ethan Rozeboom. Ethan is from Hills, MN, which is located in the extreme southwestern corner of Minnesota. 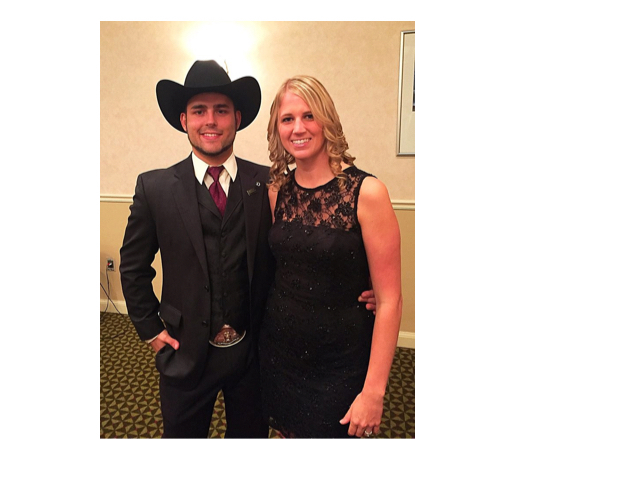 Ethan is involved in his family’s cattle and crop farm, but is also in his last year of law school. And like so many young people raised on a farm, he has the desire to give back to agriculture – just in a little different way – farming and ag law. 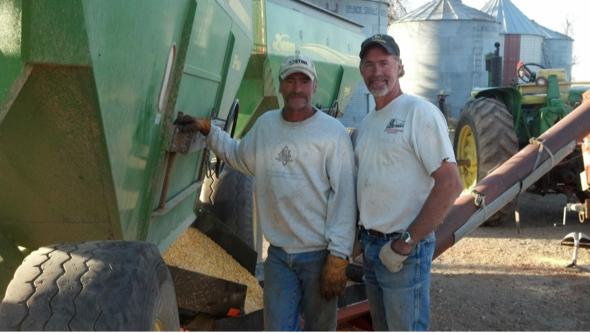 “I grew up on a 4th generation family farm just outside of Hills, MN, where I help my father and grandfather farm. Growing up we were actively involved in the dairy industry, but with fading prices and market pressure to grow, we made the call to leave the dairy industry. This business shift drove us into the cow/calf industry. Since our move from dairy to cow/calf pairs we have found a niche market raising hormone-free and drug-free cattle. 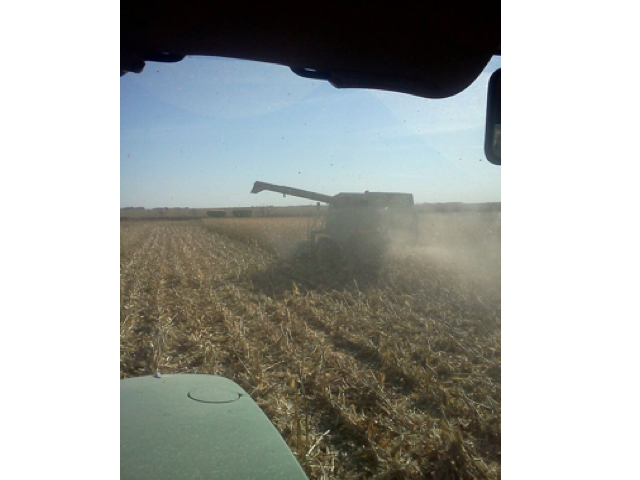 We also farm approximately 1,000 acres of land where we grow corn, soybeans, and alfalfa. Besides being actively involved in the family farming operation I am also attending the University of North Dakota School of Law in Grand Forks ND, where I am in my final year of study. With that said, the agricultural and farming industry remain my main focus. While attending law school I have concentrated on the agricultural law sector. My interest in farming has motivated me to research and write several pieces on the famers waning ability to negotiate and influence the modern GMO market and the lack of access to attorneys in rural areas. I have interned with rural practitioners in the tri-state area and have come to recognize the farmers need for effective legal counsel. “We raise corn, soybeans, and alfalfa. The soybeans are sold on the market, but some of the corn and all of the alfalfa we use to feed our cattle. We have approximately 50 drug/hormone free cow/calf pairs. Raising antibiotic and hormone free cattle is already hard enough, but adding to the challenge is the lack of pasture. With the price of corn and soybeans reaching record highs, most pasture has been converted to production acres. Because of this we are forced to dry lot (raise them in a contained dirt lot) our cattle, meaning our chances of having a sick animal increase greatly. Since we raise antibiotic-free animals we cannot treat them in a traditional manner. By keeping yards clean, feeding a stable ration, and quarantining sick animals we have been able to greatly reduce our death loss and succeed in this growing niche market. Another important factor is the size of the herd. Unfortunately, Subway has succumbed to much of the popular fear-based marketing tactics we have seen recently in regards to antibiotics in meat. As a farmer, I am so frustrated by the fear marketing that is so prevalent – marketing that not only Subway used but other companies as well. So my top things Subway customers need to know applies to all other food retail companies. 1. Your meat is safe. Let’s get right to the point. If you go into Subway today to buy a sandwich, the meat you are eating is antibiotic-free. Period. 2. Farmers hands are tied if they are not allowed to give antibiotics. Allowing sick animals with no way of helping them or having more dead animals is not an option. How can anyone expect farmers to sit idly by watching their sick or dying animals? Giving antibiotics is only one tool that we use and we have a duty to provide safe and healthy food. Sick and dead animals are not safe or healthy. On our farm, we use a number of preventative measures to help prevents illnesses. Measures such as cleanliness, vaccination program, management techniques, and animal nutrition. Follow this link for more detailed information on what we do to prevent antibiotic usage. 3. It’s about marketing. There seems to be a real trend in the food marketing world in using food fear. And it’s frustrating. And you, as the customer, are being targeted. What can you do? Do the research, become informed and reach out to other food players such as farmers. Because I am a pig farmer, I have compiled a list of pig farmers you can contact. It’s unfortunate because you really want to trust these companies. But when they push the envelope with questionable marketing tactics, you can’t help but lose some of the trust. Farmers can help answer your questions. 4. Farmers don’t pump their animals with antibiotics. Farmers use antibiotics only when they need to. And when they do use antibiotics, farmers are required to follow strict FDA withdrawals before our animals are sold. And this is a line we will never cross on our farm. We keep detailed records on which animals receive drugs, along with date, the reason for the antibiotic, dosage and withdrawal date. I would love to never have to give another antibiotic. That’s why we are continually open to new and better ways to keep our pigs healthy. There is some really exciting research in essential oils, probiotics and enzymes that I hope will offer farmers other health options for pigs. This is a trend that will continue. Here is the issue: None of these fruits/vegetables have a GMO version. So why play on the term GMO? Science research has shown GMOs are safe. By referring to all those ingredients as non-GMO, it insinuates that GMOs are not safe. And that’s just plain wrong and unethical. 5. Farmers care. Farmers are no different from Subway customers in that they want safe food. We don’t want to eat meat that is contaminated with antibiotics either. That’s why we are so very careful in using antibiotics sparingly. Most of us who raise agricultural animals eat the same meat we sell. We would never want to put our families in any type of danger. We also realize that raising food for other families is a big responsibility and we don’t take it lightly. Please allow us to use the tools we need to do it right by providing safe and healthy food for you.